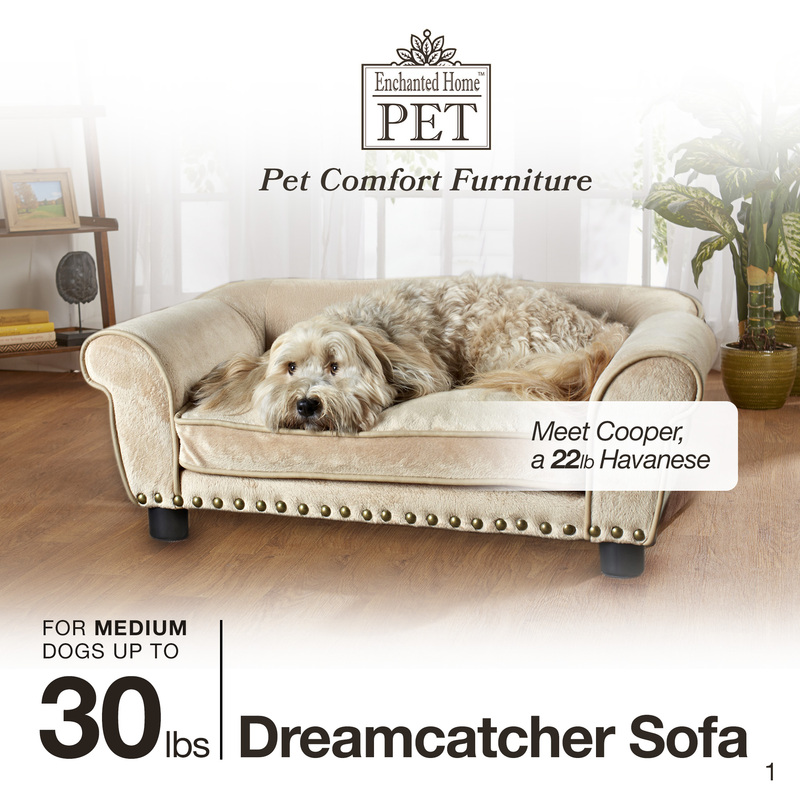 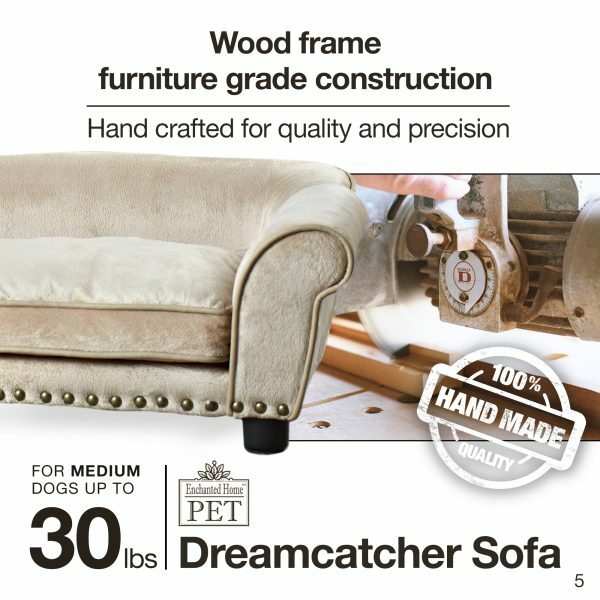 The Dreamcatcher Sofa, featuring Cooper, a 22 pound Havanese is a luxurious, Ultra-Plush mid-sized sofa with faux-leather welting and brass tone nailheads. 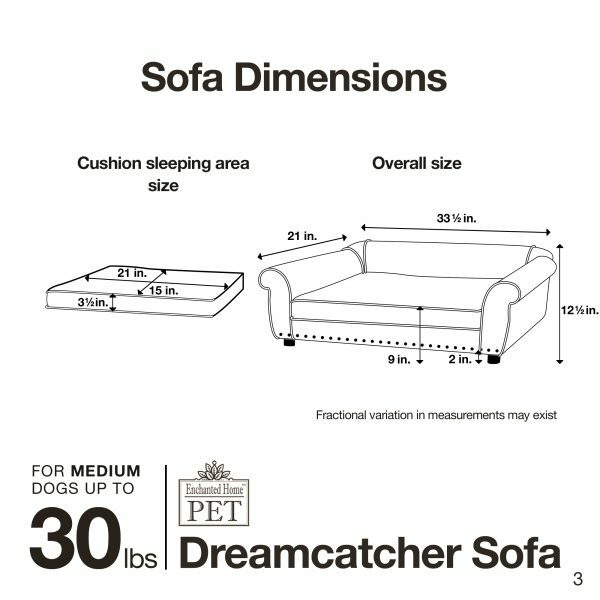 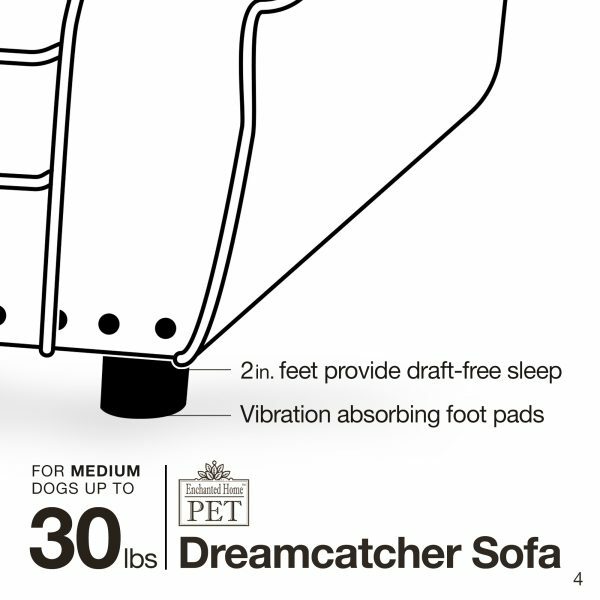 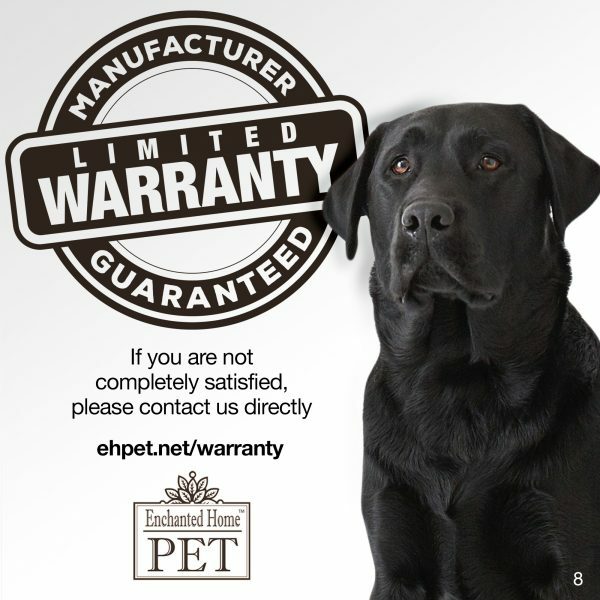 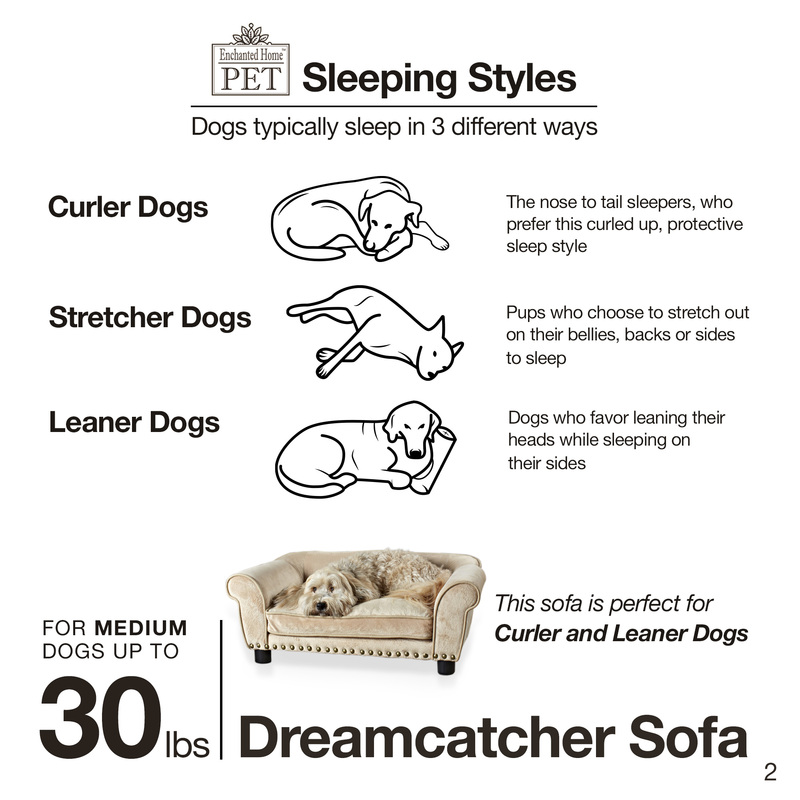 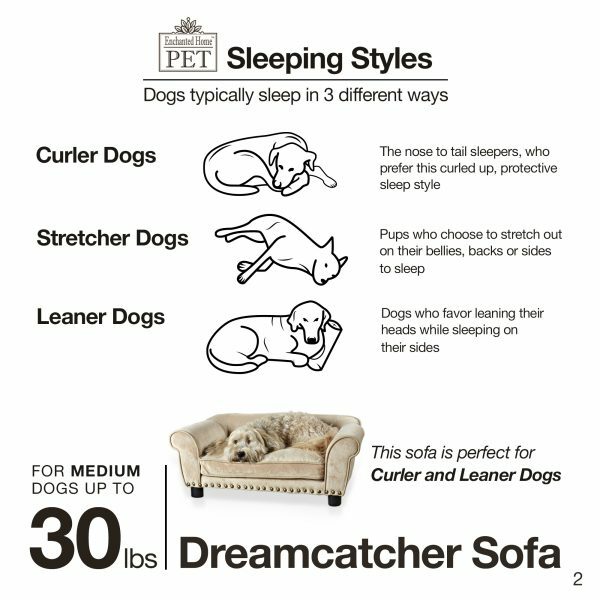 Its classic style rolled arm offers a perfect place for pets who prefer to sleep leaning. Fully upholstered, it boasts durable furniture-grade construction. Meet Peanut, an 8 pound Yorkie who looks so cool on this fabulous new Rocco Sofa. 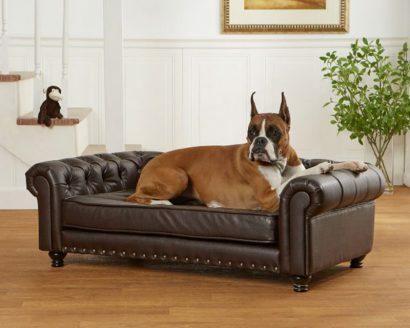 It is upholstered with high quality, pebble grain, faux-leather and a plush, embossed micro-velvet cushion. 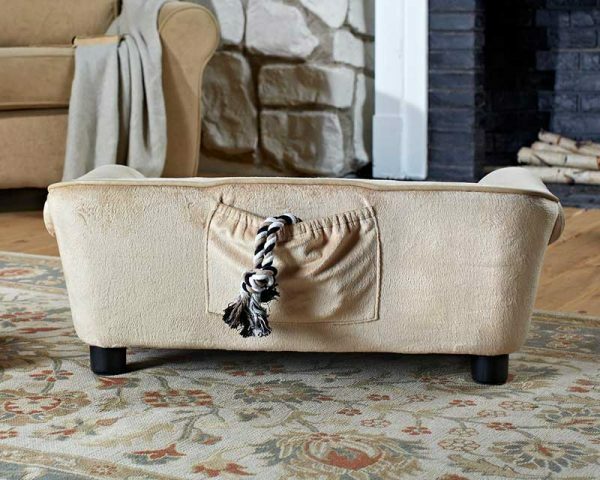 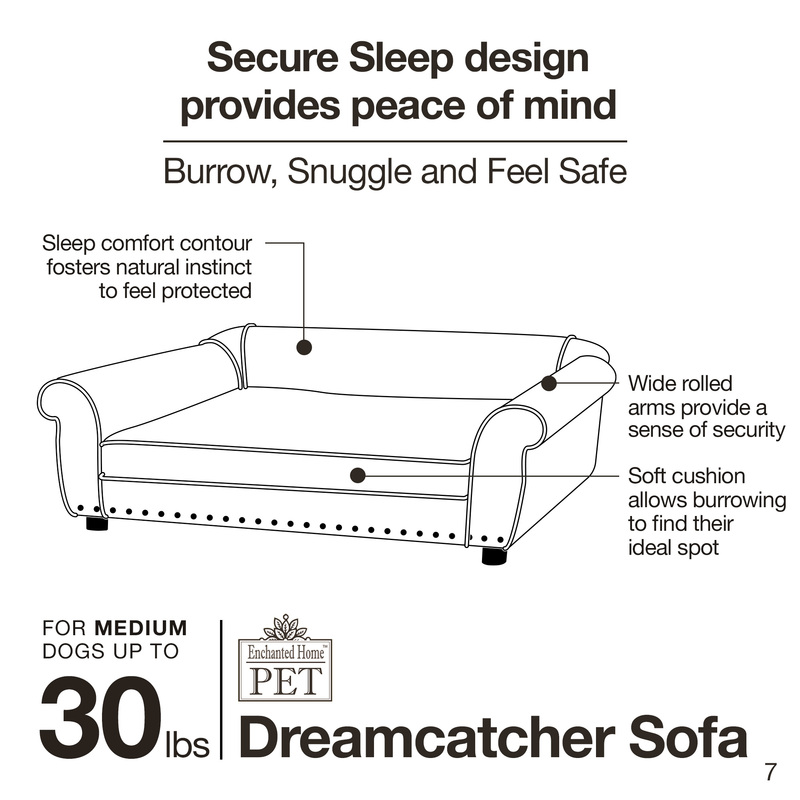 This classic rolled arm style sofa suits the littlest pets up to 10 pounds, who love to sleep curled up or leaning. Ollie, a 30 pound Italian Waterdog is lounging on the Harper Arch Sofa. 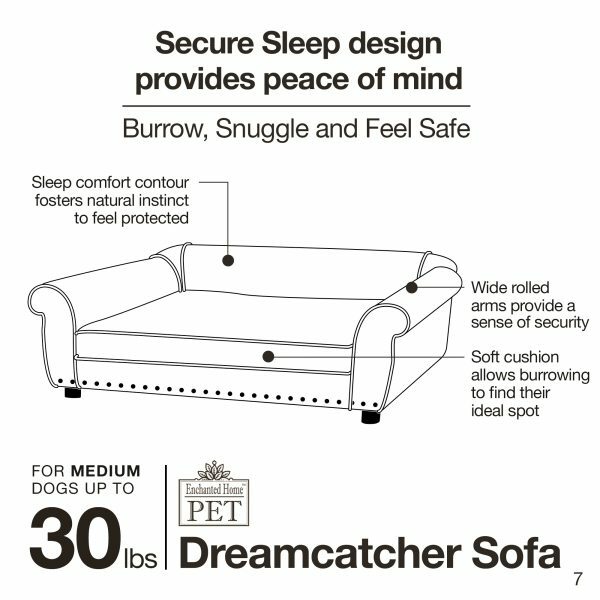 Its low profile, rolled arm lends itself to pets who like to lean while sleeping. 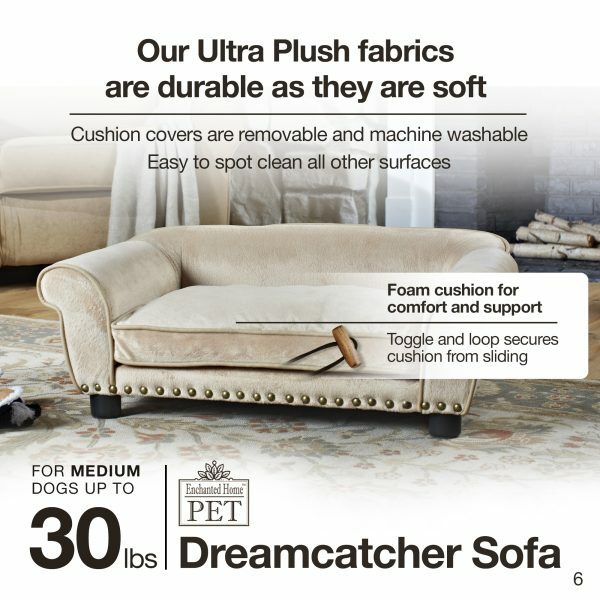 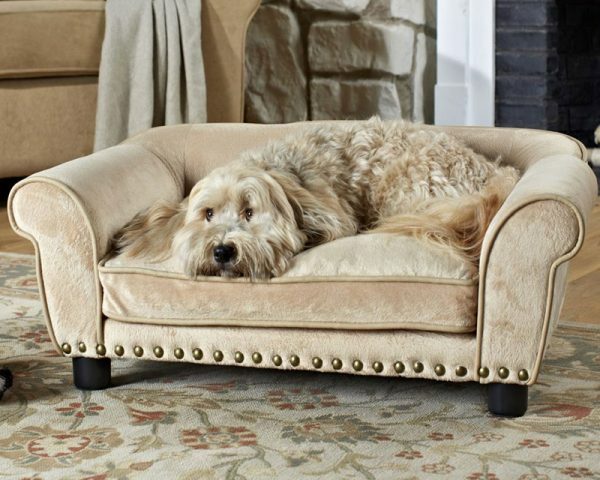 This fully upholstered, textured velvet sofa is suitable for pets up to 30 pounds.